The Mills shuttle has long been a source of frustration for its riders, particularly among students with physical disabilities and commuters. Last year, the larger shuttle, which seats 44 at maximum capacity, was repeatedly replaced by one of Mills’ small 14-seat vans. When the van was in use to transport students to and from Mills, those using wheelchairs were forced to find another mode of transportation, as the vans are not equipped with a wheelchair lift like the large shuttles are. Sophomore and ASMC Disability Co-Chair Katie Laackmaan, a student who uses a wheelchair, said that while she has not run into any difficulties when the shuttle is in use, she has experienced problems when the van is running, primarily because students are not informed in advance when the small van is in use. Despite these frequent occurrences last year, Niviece Robinson, director of Public Safety, said that she has not received any complaints regarding accessibility or students being turned away this year. “We have two [Americans with Disabilities Act] ADA-accessible vehicles and every day the drivers have to check the lifts to make sure that they’re operable,” Robinson said. In the event that the wheelchair lifts are inoperable, the drivers are to inform Robinson so that she can pass the information on to Gabriella Tempestoso, who serves as assistant dean with Services for Students with Disabilities. At that point, according to Robinson, Tempestoso is supposed to send out an email alerting students registered with SSD that the small van may be running that day. 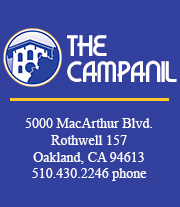 Students needing accommodations for wheelchairs who are turned away from riding the Mills van are advised to use AC Transit, Friendly Cab or the East Bay Paratransit service as alternative routes of transport. Laackman reasoned that using a cab service is expensive, while the East Bay Paratransit system has a “pretty strict application process” that she does not qualify for, which leaves her with a sole alternative: AC Transit. Robinson also suggested that students connect with the Ed Roberts Campus — a universally designed, transit-oriented hub for students with disabilities in Berkeley — should they find that alternate options for transit do not work for them. However, students are not placated by the outside resources available to them. Laackman and Cheyanne Young, sophomore and ASMC Disability Co-Chair, both said that they have approached Tempestoso regarding the accessibility issues that the van presents. Robinson, who is also on the Sustainability Committee, said that Public Safety looks at “the whole picture” when it comes to running the shuttle; for example, to foster sustainability the Committee considers “the shuttle’s wear and tear and whether to invest in a bicycle rack that holds more than two bikes,” so students who are not driving can use the shuttle and their bikes to commute rather than a car. The Sustainability Committee is also asking students to complete surveys when they register for parking permits to find out more about the ridership of the shuttle — peak hours of use, where they are going when they ride the shuttle, and how much they are riding — to ensure that the shuttle schedule better fits the needs of students. As for why the van runs in lieu of the shuttle, the explanation seems to be the same every time — the shuttle is out of service because of routine maintenance or repairs. But Young has also been told that the van is sometimes driven even when the large shuttle is operable, in order to cut fuel costs. She finds this problematic if true. “Emergencies don’t wait for gas prices to drop,” Young said. But Robinson’s explanation remains consistent with the emails that supposedly go out to students on mornings when the shuttle is out of service. Junior Heidi Cooper, who commutes to the Mills campus, recounted one such incident when the shuttle was reportedly “out of service for maintenance” during the first week of school this year. Cooper said that more than 10 students were turned away at the Rockridge stop because the small van was already crammed from the UC Berkeley pick-up. This meant a two-hour trip to reach Mills via alternate means of transport, which makes her late to class when it happens. Cooper said her attempts to broach the issue with Public Safety officers came to nothing, and that she also wrote an email to Robinson after being turned away from the shuttle on her third day of class. For real time service updates relating to the status of the shuttle and which vehicle will be driven, Robinson suggested that students follow the shuttle on Twitter at @DPSMills. In addition, she said students are encouraged to approach the Sustainability Committee with any questions, comments or concerns.